Whether you’re planning a small garden or designing your entire property, working with a landscape designer will help you get started, create a workable design and select the best plants for your location. This meeting serves to introduce the designer to the homeowners and their ideas about the project and the scope of the program. The client can see if there is a comfortable fit with the designer’s style. If the homeowner decides to proceed, measurements will be taken and a copy of the property survey obtained with the title of the house will be used to measure and draw the base map. The designer sifts through all the ideas and preferences, as well as the survey and creates some preliminary concepts and layouts. These early sketches will form the backbone of the final design. Often there will be a second meeting to narrow down and fine-tune these early concepts. This is the most time-consuming step. The final design is developed, the right plants for all the areas are chosen, and the drawings are done to show all the components. 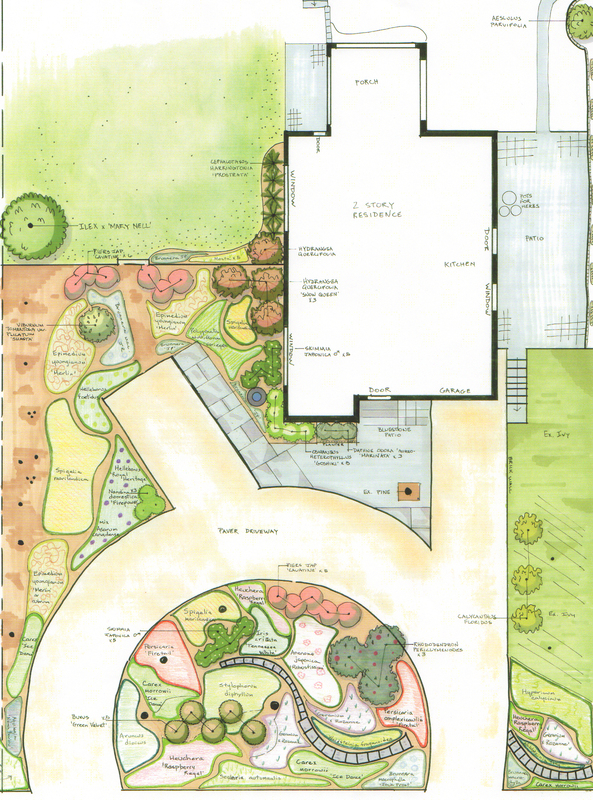 These drawings are to scale and will allow a landscape installer to estimate the cost and complete your project. A list of plants and their quantities will be included. This meeting will enable the homeowner to see and understand the completed plan. Questions about plant choices and other design issues will be addressed. The designer can, if requested, offer names of trusted landscape installation companies. The designer offers additional services of plant procurement and plant layout on installation day. The final garden is always better if the designer can be present and make adjustments to the plan if needed.